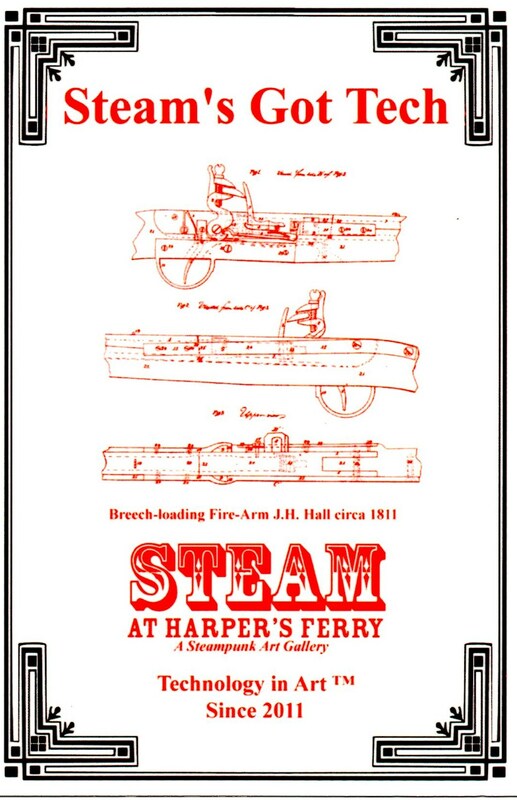 Steam at Harper’s Ferry catch phrases, “Steam’s Got Tech” and “Technology in Art” since 2011, are not just slogans. They represent goals that the gallery takes seriously. The steampunk genre encapsulates so many aspects of art and design, engineering and science that a steampunk gallery in Harper’s Ferry was perfect! 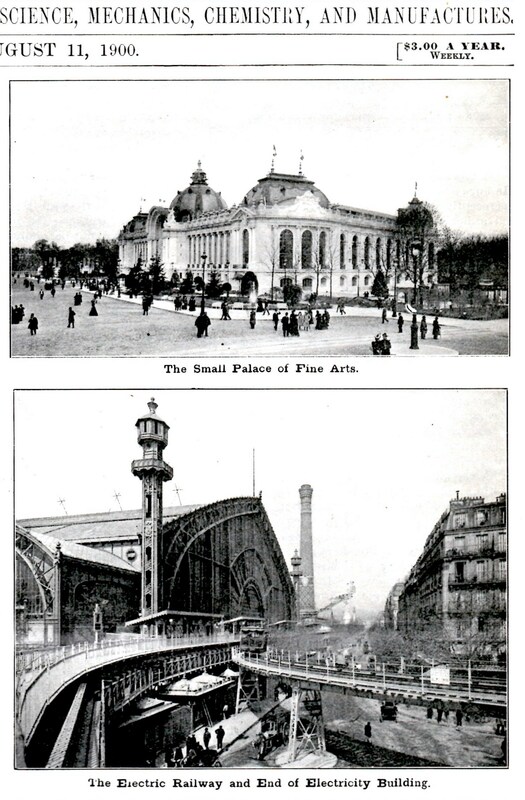 Not only is it a Victorian town, but it has a steam-powered history. 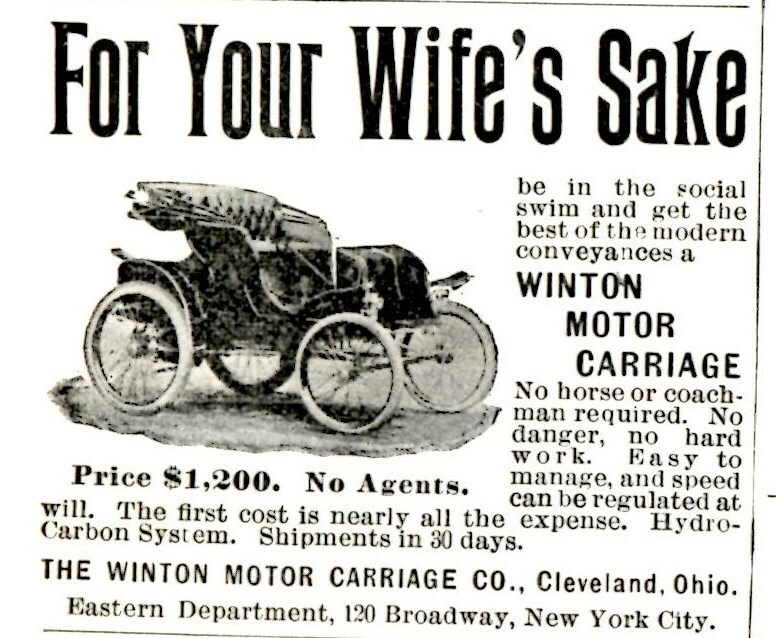 From the steam gun to power plants. 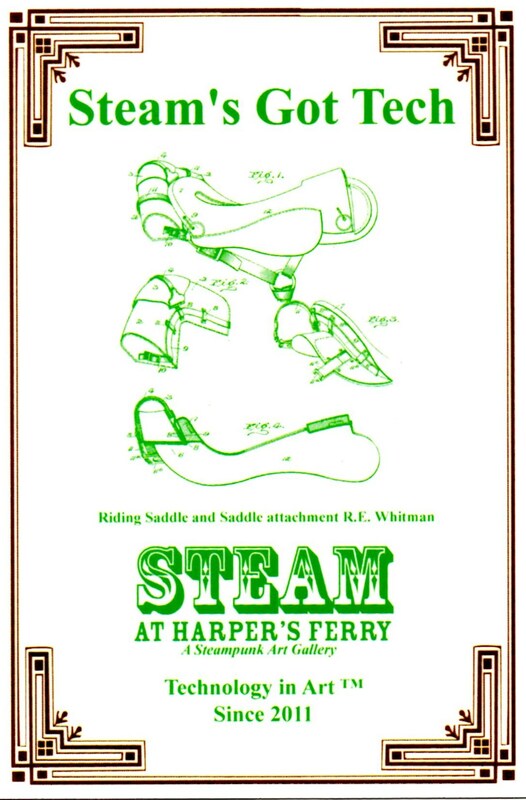 On August 15 at the Bolivar-Harpers Ferry Public Library, Steam at Harper’s Ferry introduced a new postcard series celebrating Jefferson County inventors. Only one lived her entire life in Jefferson County – Estelle May Peach Koonce Black. The other two, Royal Emerson Whitman and John Harris Hall were born elsewhere, but made their own history Jefferson County. 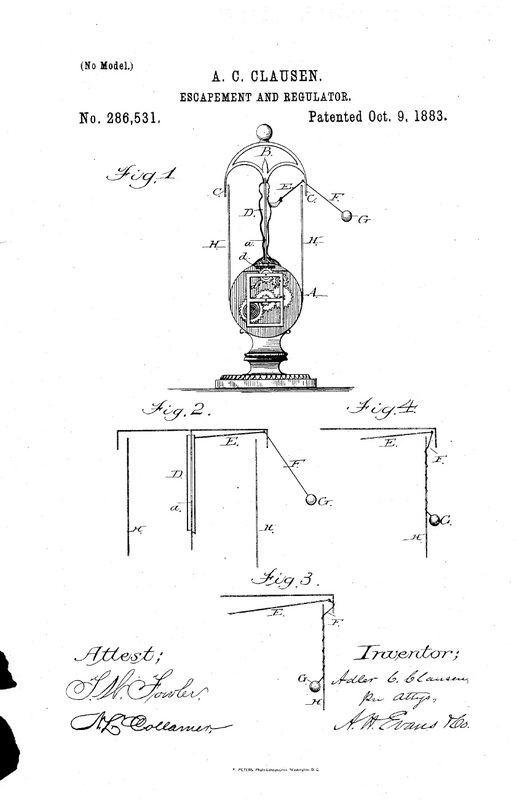 All three held patents! Steam at Harper’s Ferry also supports the S.T.E.M. to S.T.E.A.M. movement (I knew there as a reason why I love Scientific American). While science, technology, engineering and math are important education subjects, the arts are just as important. Integrating the arts in to S.T.E.M. is critical to economic and cultural growth. To learn more about S.T.E.M. to S.T.E.A.M., click here. The postcards are available for purchase at $1.25 each plus shipping. 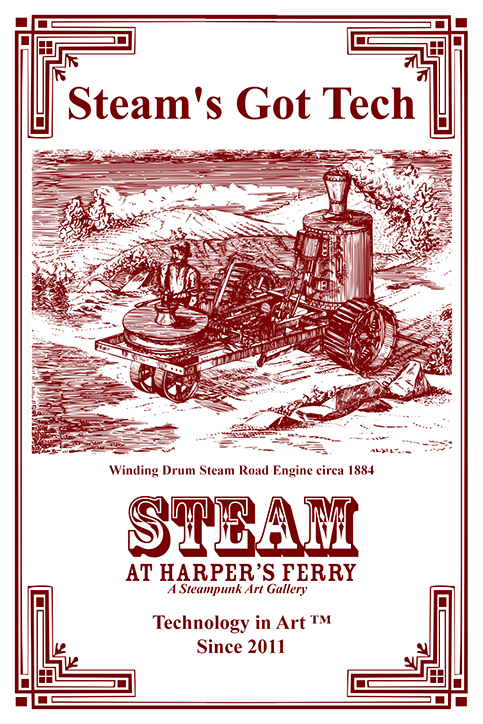 Please contact Steam at Harper’s Ferry directly if you would like to purchase them online. Thank you. The Time Machine made by Christopher Loggie for the video series, Steampunk Stacie, draws a lot of attention. 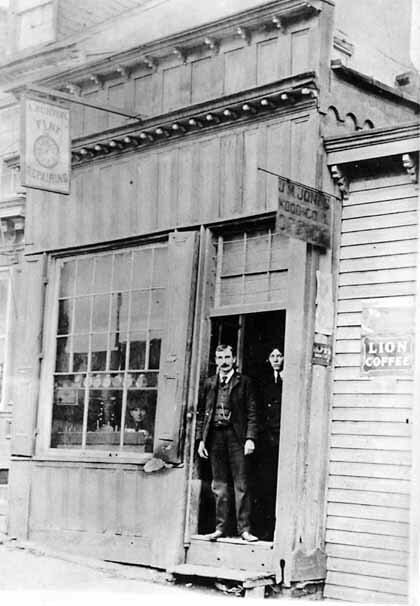 But not as much as Alfred Burton’s storefront window in the late 1800s. 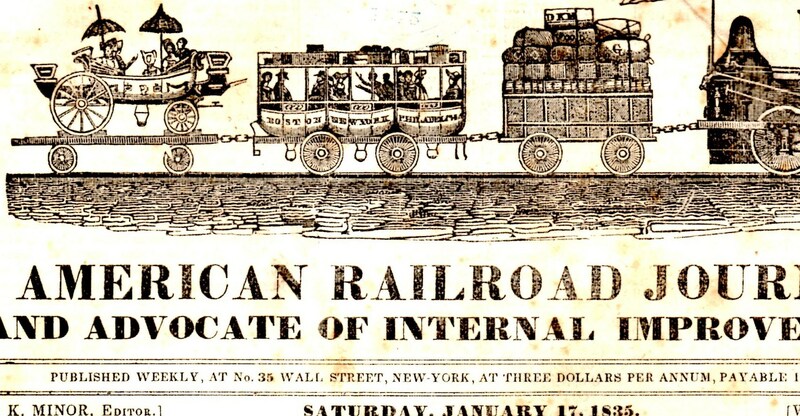 Alfred and his three sons, Henry, Warren and William all pursued careers as jewelers and watch repairers in Harper’s Ferry and Charles Town. As you can see in the window, Alfred had quite a watch collection on display. When you come to Harper’s Ferry today, you can see some watches and clocks donated by the family to Harper’s Ferry National Historic Park. singular sort of mechanical contrivance in his store window, from which [hung] half a dozen watches — some of them old-fashioned family watches, as big and stout as dutchmen, filled with lager beer — some as small as ten cent pieces — like little babies following their fat papas, and this contrivance [kept] continually going round at the same solemn, blind horse rate — no variation, no check, no change of time. … citizens are beginning to complain of this; they say that it is having a bad effect on the brain of people who are obliged to look into the window. which was later named the “Ignatz” novelty clock in 1935. Ignatz was the name of the mouse side-kick of Krazy Kat. Like merchants today, he expanded his business to include all sorts of repair work from medical to musical instruments. He managed property after his retirement and was a locally known beekeeper. I can’t make any promises about the “Travels in Time” exhibit beginning next month, but I’m pretty sure that it won’t have a bad effect on the brain. 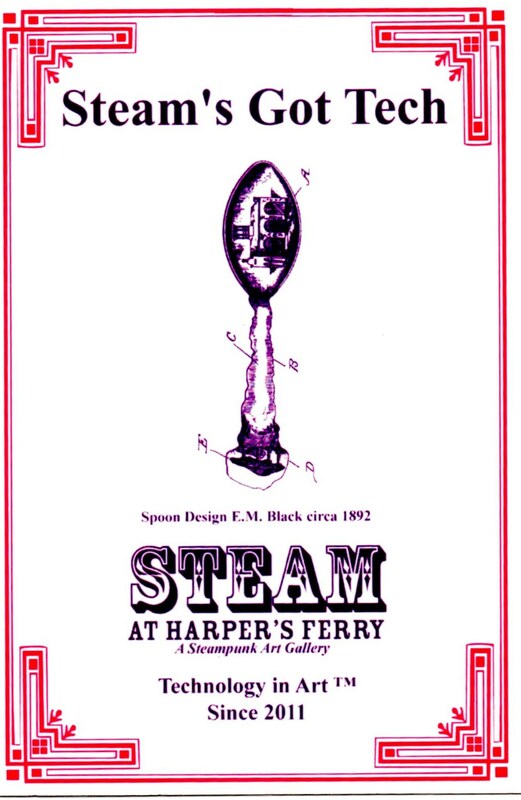 Steam at Harper’s Ferry announces a call to all artists to submit work for selection for its next exhibit “Travels in Time” in Harper’s Ferry, West Virginia September 21 – November 17, 2013. Artists are requested to submit work related to the H.G. Wells book, “The Time Machine,” ideally with a steampunk twist, by September 3, 2013. Artists may submit up to 3 works for selection. There will be a $30 administration and promotion fee if selected. Around the World – June 29 – August 25, 2013 – FINAL WEEKS! The “Around the World” exhibit opened on June 29 and continues through August 25. This exhibit features the work of John Hoffmaster (illustration, “Still Waters”); Leigh Anne Cassell (illustration, “Legs that Can Can”); and Jason Edwards (painting, “Captain Tomorrow” and “Captain Tomorrow gives chase in his red balloon”). Cynthia Gayton will be making a steampunk in literature presentation at the Bolivar-Harper’s Ferry Public Library on August 15 at 6 pm. 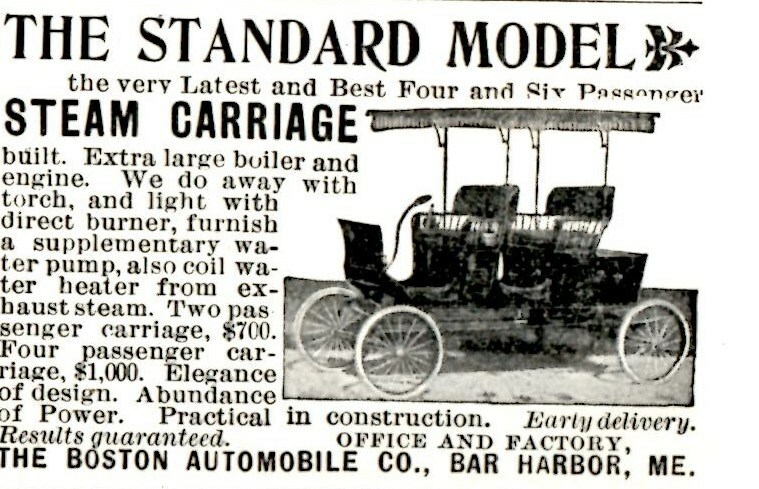 In addition to discussing steampunk-themed books available at the library and elsewhere, she will talk briefly about Victorian-era inventors from Harper’s Ferry. The library, in its awesomeness, will have refreshments! Steam will also have a few 3D art pieces on display. Steam has released another publication under its SciFi/Steampunk imprint, Steam at Harper’s Ferry Press, entitled “Guide to Creating and Protecting Fictional Characters.” This Guide, as well as the story “Of Steam and Spring” are available for sale at the Gallery as well as at Amazon.com in a Kindle version. Artomatic in Jefferson County – October 2013 – REGISTRATION CLOSES AUGUST 12! Artist registration for Artomatic@Jefferson began on June and ends August 12. Registration fees may be waived if you are a full-time student. Student registration has been extended to September. Contact Cynthia if you have an idea for an art demonstration or artist-focused education program. Please see their website for details: http://artomaticjefferson.com/. The Strasburg Rail Road Company was responsible for restoring the William Mason for the movie, “Wild, Wild West” AND there may be a steampunk-related event in the near future!!! Taking photographs of Harper’s Ferry enveloped in fog is hard.